Born in Aiken, S.C., John Schumacher serves as co-owner and chief bottle washer for Harold’s Cabin. His first job as a teenager was sorting peaches at a peach shed in Johnston, S.C., and he later entered the food and beverage industry as a dishwasher, which may be his true calling in life. While attempting to delay his inevitable arrival into the real world, Schumacher attended four different colleges, earning a bachelor’s degree in political science and a master’s degree in criminal justice. Since then, Schumacher has found himself back in the food and beverage industry, working in all types of establishments from mom and pop joints to hotels and bars. Most recently he served as the food and beverage director for the Charleston RiverDogs, and subsequently as the regional food and beverage director for six baseball teams in the southeast. 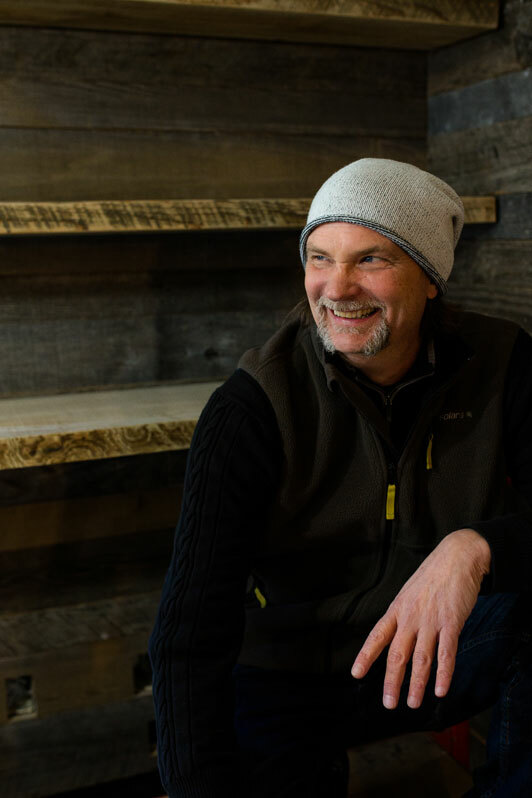 Schumacher’s love of hanging out in cabins, roasting marshmallows and going on expeditions made his transition to Harold’s Cabin a no-brainer. In his spare time, he enjoys biking, swimming, playing the harmonica and spending time with his imaginary friend.